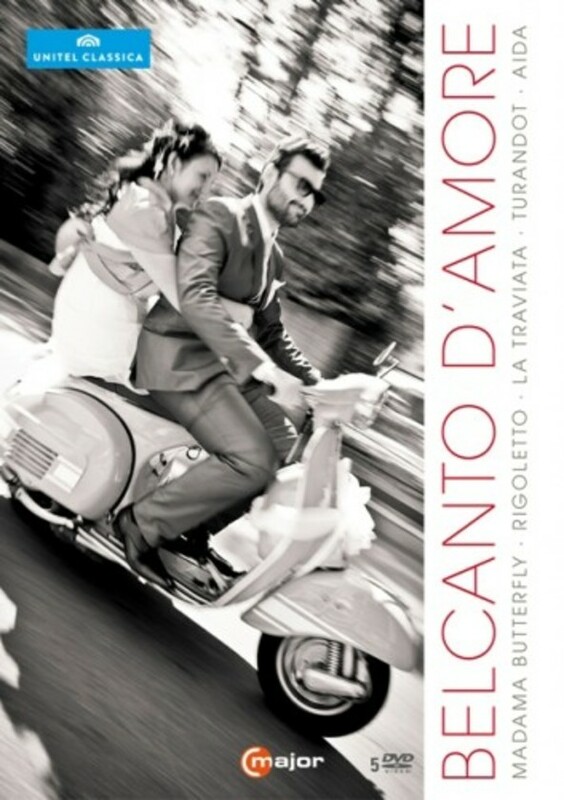 This box set includes some of the most popular Italian operas - Aida, Madama Butterfly, Turandot, La Traviata and Rigoletto - for a very attractive price! The visually stunning Aida (an “open-air spectacle of superlatives” - Die Zeit) from Bregenz Festival; Turandot staged by Chen Kaige (film director of 'Farewell My Concubine' and winner of the Palme d'Or at Cannes Film Festival); Madama Butterfly from the magnificent open-air neo-classical Arena Sferisterio built in the 1820s ("One cannot help but enjoy the perfection 'à la Pizzi' of the production…" - ForumOpera.com); La Traviata and Rigoletto from Parma (“This is how Verdi should be played.” - FAZ). Great casts include Zubin Mehta, Yuri Temirkanov, Nino Machaidze, Leo Nucci, Maria Guleghina, Raffaela Angeletti and many more. The operas are famous for their popular hits which everybody knows, such as Nessun Dorma, Sempre libera, Celeste Aida or La donna è mobile. Bonus material: Introductions to the operas La Traviata and Rigoletto. Making of Turandot. Staged by Pier Luigi Pizzi.